The artist tackles Beetlejuice, Darkman and more, just in time for Halloween. October is not only the scariest month, but it’s also Inktober, where artists from all over the world create a different ink drawing every day of the month. While the official Inktober site provides a list of “prompts” to help inspire artists, many of them choose their own themes. Artist Francesco Francavilla is no stranger to horror, having worked on Archie Comics’ flagship horror title Afterlife with Archie. The artist celebrates both Halloween and Inktober with a series of sketches of movie monsters, from classics like the Bride of Frankenstein to more modern horrors like Beetlejuice. Check out some of them below, and you can see more of them on Twitter. 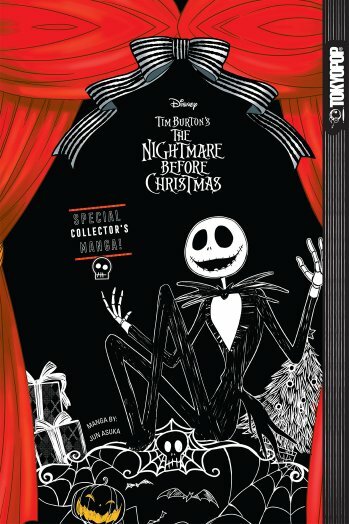 In a surprising announcement, Tokyopop has secured a deal with Disney to publish a sequel to the 1993 Tim Burton stop-motion animated classic The Nightmare Before Christmas in sequential art form. The beloved film has never had any official continuation until now. Announced as a Hollywood Reporter exclusive, The Nightmare Before Christmas: Zero’s Journey will be written by D.J. Milky aka Stu Levy (Princess Ai) with art from Studio DICE (Beauty and the Beast). The story will follow Jack Skellington’s loyal dog, Zero, as he gets lost in Christmas Town. Slated for spring 2018, the comics will be available for the 25th anniversary year of The Nightmare Before Christmas. The series will be released first as standard, serialized comic issues, then will be republished as a full colour tpb as well as black and white manga “pocket book” format graphic novels.